This stag may look OK at first glance (well, you know, sort of…), but hang on, has he got three antlers, as at the top of the picture, or only two, as down by his ears? Following on from the last post, it’s another example of what happens when apertures or gaps in the visual scene – like the segment of starry night in the last post – become objects. 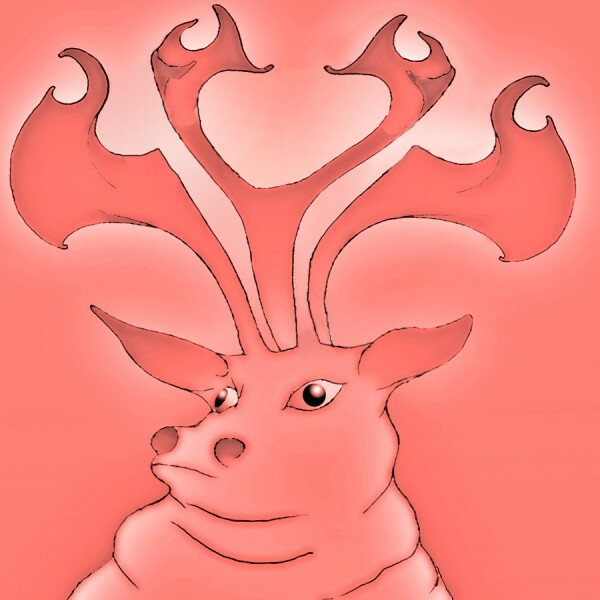 But with the stag it’s even weirder, because the middle antler, for example, starts out at the top OK, but by the time it gets down to the stag’s head, it’s become background. Want to know more? Read on! Here’s another intriguing scene. It’s a seance, about 120 years ago in France, and a medium has caused a table to levitate in front of an audience of amazed physicists. Was that an illusion – or was it for real? You decide, I’m interested in using it to think about how pictures seem to me most different from everyday vision. The diagrams below the picture make the point that objects are associated in vision with closed outlines. The old guy’s head, for example, is just a simple outline. The table is made up of several outlines, because arms and hands are blocking our view of it. The chair is also lots of loops, but because it’s got holes in it. Sometimes also the outline of an object is closed off by the edge of the field of view, or picture, and sometimes edges disappear in darkness. But generally, every object = a noun = a closed loop, or group of loops, in the visual field. Look at the way kids often draw a nose with a blob, for example. It makes it easier for the brain to make sense of the visual world: first find the closed loops. All that might seem trivially obvious, but I don’t think it is, especially when it comes to pictures. 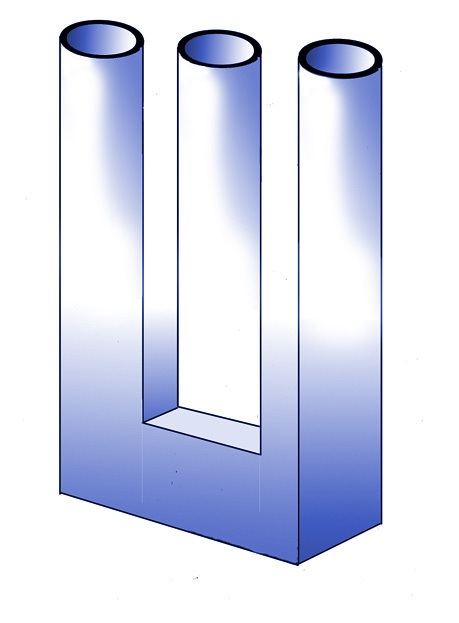 First, objects in the visual field may always be loops, but loops are not always objects: they may be apertures – windows, gaps, doorways. 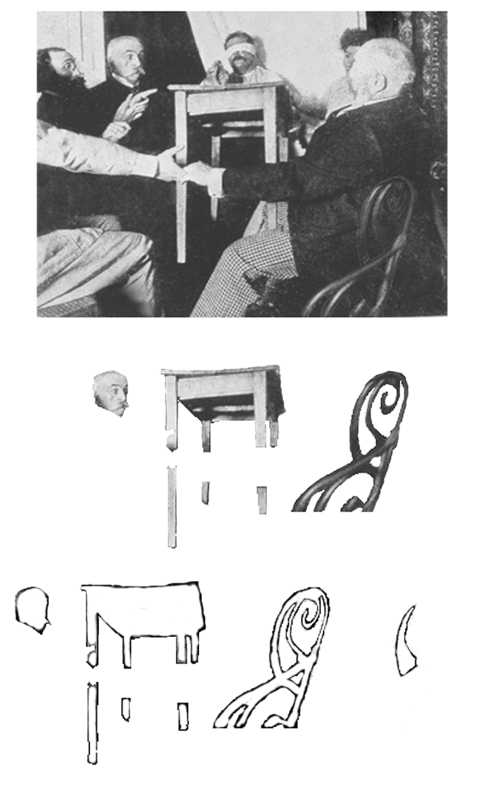 As indeed is shown bottom right below the seance photo, where one of the holes in the chairback is isolated as a loop. So one of the games you can play as an artist is to confuse the brain, by making an aperture behave like an object, as I did with the segment of starry night in the previous (Halloween) post. I’ll be posting more examples of that effect in historic artworks. But in the stag picture, instead of background being brought forward to block our view of an object, antlers actually turn into background, either within a closed loop (middle antler) or by refusing to be contained within a loop at all (side antlers). So the objects = loops rule applies in everyday vision, but does not have to in the graphic world. The stag’s antlers are of course just a variation on the theme.